Diamante is at the heart of pearl ubungen’s praxis that has evolved since the early 1990 s. Diamante features in-depth interaction and crossings between sonic elements and movement improvisation while provocatively integrating view and practices distilled from dharma teachings, critical theory, and somatic investigation. Diamante emerges from a confluence of traditions with distinct ancestries and lineages. The power and depth of Diamante comes from a rare coherence of distinct fields of practice and inquiry. When brought in close proximity these seemingly disparate streams resonate on many levels. ubungen views this simultaneity of presence occurring within the terrain of post-colonialism as auspicious and continues to evolve Diamante in various contexts – primarily as the basis for her creative interdisciplinary work, but also while teaching and leading workshops and as a tool to deepen community-based research. Diamante builds from the interior subtle body to outer expression in music, dance, theater. Through Diamante, one is surrounded by the formality and discipline of practice and retreat which provides the simplicity and profound qualities of space, stillness, and silence as the ground for originating creative material and engaging in dialogue. Within this environment of vibrant space, embodiment and cultivating inner reflection, Diamante opens into its many facets; intertwining critical textual study (ranging from Buddhist teachings to postcolonial theory) with embodied contemplation, various states of ambiguity and deep translation. 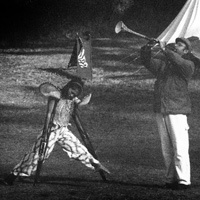 Embedded in Diamante is ubungen’s formative relationship with Master Artist and performer extraordinaire Ed Mock. As mentor and teacher, Mock initiated ubungen to the daring and brilliance of improvisation in performance – creating some of the most outrageous and inspiring works on the spot. 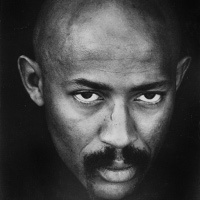 As a young emerging artist, ubungen danced in Mock’s company until his death from AIDs related illness in 1986. Mock’s love of music and musicality, and his tremendous abilities as an improvisor left a profound imprint on ubungen and continues to inspire and invigorate her work. 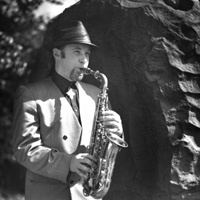 ubungen continued to deepen her improvisational process through her collaborations with Roberto de Haven – saxophone player and minister with the St. John Coltrane church. 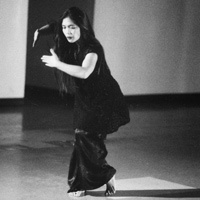 Roberto de Haven partnered with ubungen to form Pearl Ubungen Dancers and Musicians in 1990 and since then ubungen has integrated improvisation with movement and music in almost all of her projects. 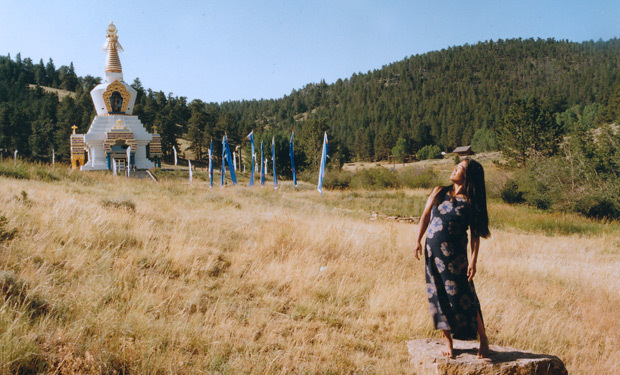 Over the past ten years, ubungen has integrated teachings from Tibetan Buddhism as well as investigations drawn from the Feldenkrais Method into her praxis of Diamante. ubungen is particularly interested in creating pathways for Diamante to support intensive community-based cultural work, instigate politically relevant dialogue, and inspire meaningful action in the arts and beyond.